Today Nintendo updated its shipment numbers for Switch and 3DS to December 31st, 2017, and there are certainly a whole lot of hybrid consoles that have hit the shelves over the past nine months. As you can see in the infographic below, total shipments for the Switch reached 14.86million units as of December 3st. In the meanwhile, its older 3DS cousin, reached a whopping 71.99 million units shipped. 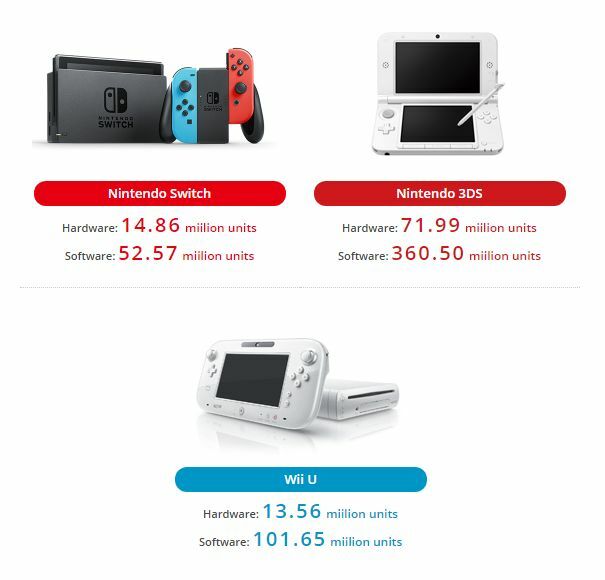 This is certainly impressive, especially considering that the Switch has been suffering for rather dramatic shortages during pretty much the whole year, with supply meeting demand basically only under major game releases and in the Holidays period. We also get an update of the forecast for shipments by March 31st, 2018, which is the end of the current fiscal year. 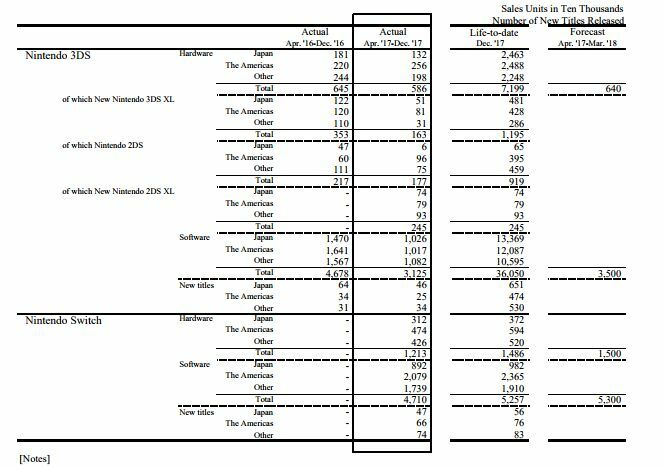 Nintendo predicts to have moved 15 Million Switch units since April 1st, 2017. Adding that to the 2.74 million units shipped between release and March 31st, 2017, it means that the manufacturer from Kyoto predicts to have shipped 17.74 million units by the end of March. The forecast is one million units higher than the one shared three months ago, which means that the console sold better than expected during the Holidays. For the sake of comparison, you can check out the previous shipment numbers and forecast as of the previous fiscal quarter, which ended September 30th, 2017.